Samsung swiftly introducing new smartphone and tablets in the market from the past few months, and this time launched Samsung Galaxy Tab A 8.0 in Thailand. 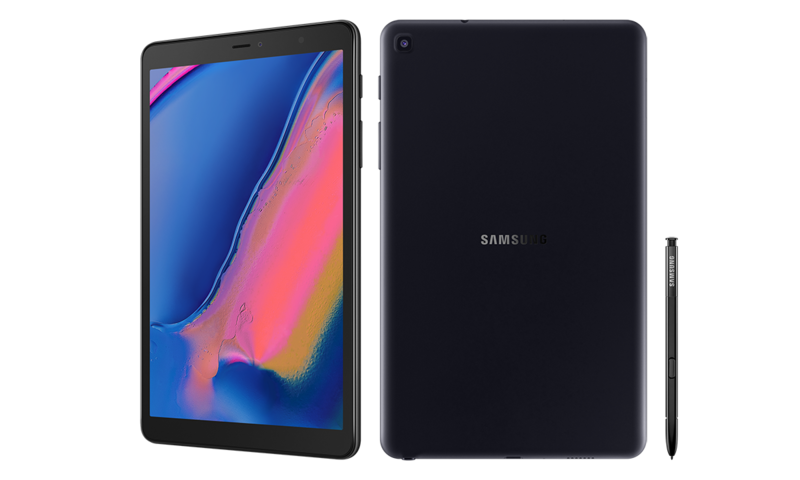 The new Samsung Galaxy Tab A 8.0 looks like same as its predecessor Galaxy Tabe A 10.1, which was announced in February 2019. Galaxy Tab 8.0 now comes with LTE connectivity via Sim and it now also supports the S Pen that fits into a small housing of dedicated S-Pen slot in Galaxy Tab 8.0. this brand new tablet from Samsung has an 8-inch display that runs on the Exynos octa-core processor made by the company. In a launch event at Thailand Samsung revealed new Galaxy Tab A 8.0 of 3 GB ram variant. Although Samsung has not confirmed about the availability in the Indian markets, an Indian consumer has to wait for the official release of Galaxy Tab A 8.0 in India, please do follow the official website of Samsung mobile India. As of now, this tablet will be sold in Singapore, Malaysia, Phillippines, New Zealand, Vietnam, UK and off course in Thailand too. So if you are planning to buy Galaxy Tab A 8.0 a summer trip to Thailand wouldn’t be a bad idea for your holidays. Tablets are always considered as a perfect contender for personal computing needs on small portable devices, that why these companies are still up on it. By taking the business seriously Samsung Galaxy Tab 8.0 has many new unique features and prepositions for a consumer. On the top of everything Samsung Tab A 8.0 has a gorgeous 8-inch WUXGA display on 1920×1200 aspect ratio, this means you will get a clear vivid display on the top where you can find more interesting while using the S-Pen on it. In terms of durability the Galaxy Tab A 8.0 is also IP68 certified that protects the device from water and dirt. Android 9 Pie Tablet Samsung Galaxy Tab A 8.0 is powered with 1.8Ghz Exynos 7904 processor with 3GB RAM and Single Sim LTE Connectivity. Samsung also considered this tablet for smartphone needs and introduced the 8-megapixel rear camera to take smartphone like images you will also get a 5-megapixel fron camera for selfies and video calls. This is not just enough it can also record 4K videos for you running on 30fps. Samsung Galaxy Tablet A 8.0 comes with 32 GB inbuilt storage and 3GB RAM, internal storage can further be extended up to 512GB via microSD card. In terms of battery Samsung Galaxy Tab 8.0 has 4200 mAh battery but doesn’t support fast charging. The new Samsung tablet has 32GB of inbuilt storage, which can further be expanded via a microSD card (up to 512GB). As mentioned above, the Galaxy Tab A 8.0 has support for 4G LTE connectivity. The rest of the connectivity suite is handled by Bluetooth LE 5.0, GPS, Glonass, Beidou, Galileo, Wi-Fi a/b/g/n/ac, Wi-Fi Direct, 3.5mm headphone jack, and a USB Type-C 2.0 port. The device comes equipped with a 4,200mAh battery but there is no support for fast charging. Next articleAssassin’s Creed III Remastered is now Available on PC, Xbox One and PS4!